What is a "third party?" What is a "Limited Power of Attorney?" What is a "General Power of Attorney?" What is a "Durable Power of Attorney?" May an attorney-in-fact sell the principal's home? What is the difference between a "trustee" and an "attorney-in- fact?" What if the principal has a "guardian" appointed by the court? When does the attorney-in-fact's authority under a Durable Power of Attorney terminate? Can an attorney-in-fact terminate a Power of Attorney? Florida law regarding Powers of Attorney and Similar Instruments can be found in Chapter 709 of the Florida Statutes . 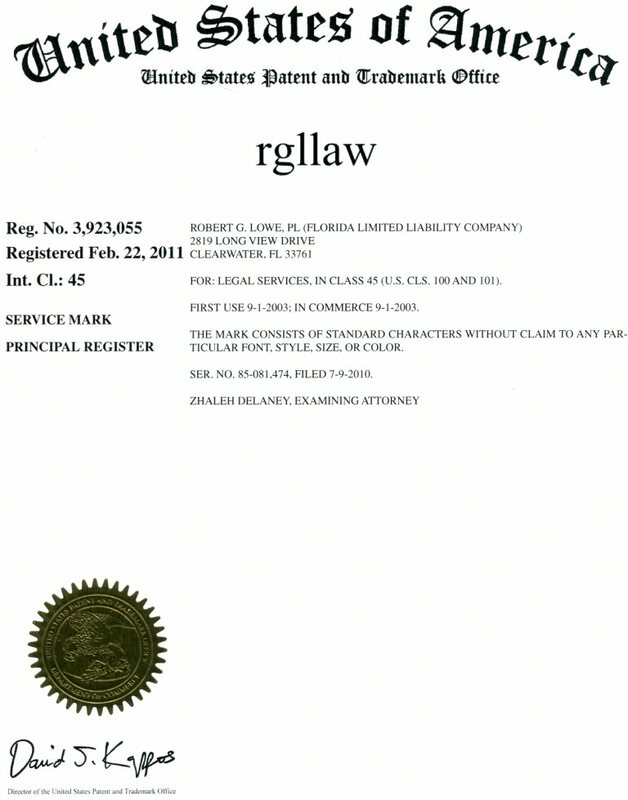 Because of the legal ramifications involved with each of the different types of POA's vary and to insure that the POA will be acceptable to specific third party with whom an agent may need to conduct business, it is best to seek the advice of an attorney in drafting an POA and to avoid store bought, generalized forms that may be facially invalid. The "principal" is the maker of the Power of Attorney - the person who is delegating authority to another. The "attorney-in-fact" is the recipient of the Power of Attorney - the party who is given the power to act on behalf of the principal. An "attorney-in-fact" is sometimes referred to as an "agent," but not all "agents" are "attorneys-in-fact." The term "attorney-in-fact" does not mean the person is a lawyer. As used in this discussion relative to a Power of Attorney, a "third party" is a person or institution with whom the attorney-in-fact has dealings on behalf of the principal. Examples include a bank, a doctor, the buyer of property that the attorney-in-fact is selling for the principal, a broker, or anyone else with whom the attorney-in- fact must deal on behalf of the principal. A "Limited Power of Attorney" gives the attorney-in-fact authority to conduct a specific act. For example, a person might use a Limited Power of Attorney to sell a home in another state by delegating authority to another person to handle the transaction locally through a "limited power of attorney." Such a Power could be "limited" to selling the home or to other specified acts. A "general" Power of Attorney typically gives the attorney-in- fact very broad powers to perform any legal act on behalf of the principal. Often a list of the types of activities the attorney- in-fact is authorized to perform is included in the document. Limited and general Powers of Attorney terminate if and when the principal becomes incapacitated. Because many people would like Powers of Attorney to continue during their incapacity Florida law provides for a (special) power known as a "Durable Power of Attorney." A Durable Power of Attorney remains effective even if a person becomes incapacitated; however, there are certain exceptions specified in Florida law when a Durable Power of Attorney may not be used for an incapacitated principal. A Durable Power of Attorney must contain special wording that provides the power survives the incapacity of the principal. Any competent person 18 years of age or older may serve as an attorney-in-fact. Attorneys-in-fact should be chosen for reliability and trustworthiness. Certain financial institutions and not-for-profit corporations may also serve. An attorney-in-fact may perform only those acts specified in the Power of Attorney. If an attorney-in-fact is unsure whether he or she is authorized to do a particular act, the attorney-in-fact should consult the lawyer who prepared the document or other legal counsel. Yes. If the Power of Attorney authorizes the sale of the principal's homestead, the attorney-in-fact may sell it. If the principal is married, however, the attorney-in-fact must obtain the authorization of the spouse. There are a few actions that an attorney-in-fact is prohibited from doing even if the Power of Attorney states that the action is authorized. An attorney-in-fact, unless also a licensed member of The Florida Bar, may not practice law in Florida. An attorney-in-fact may not sign a document stating that the principal has knowledge of certain facts. For example, if the principal was a witness to a car accident, the attorney-in-fact may not sign an affidavit stating what the principal saw or heard. An attorney-in-fact may not vote in a public election on behalf of the principal. An attorney-in-fact may not create or revoke a Will or Codicil for the principal. If the principal was under contract to perform a personal service (i.e., to paint a portrait or provide care services), the attorney-in-fact is not authorized to do these things in the place of the principal. Likewise, if someone had appointed the principal to be Trustee of a Trust or if the Court appointed the principal to be a guardian or conservator, the attorney-in-fact may not take over these responsibilities based solely on the authority of a Power of Attorney. While the Power of Attorney gives the attorney-in-fact authority to act on behalf of the principal, an attorney-in-fact is not obligated to serve. An attorney-in-fact may have a moral or other obligation to take on the responsibilities associated with the Power of Attorney, but the Power of Attorney does not create an obligation to assume the duties. However, once an attorney-in-fact takes on a responsibility, he or she has a duty to act prudently. Yes. Attorneys-in-fact must meet a certain standard of care when performing their duties. An attorney-in-fact is looked upon as a "fiduciary" under the law. A fiduciary relationship is one of trust. If the attorney-in-fact violates this trust, the law may punish the attorney-in-fact both civilly (by ordering the payment of restitution and punishment money) and criminally (probation or jail). No. The principal may hold the Power of Attorney document until such time as help is needed and then give it to the attorney-in- fact. Because third parties will not honor the attorney-in-fact's authority unless the attorney-in-fact provides the Power of Attorney document, the use of the Power of Attorney may effectively be delayed. Often, the lawyer may fulfill this important role. For example, the principal may leave the Power of Attorney with the lawyer who prepared it, asking the lawyer to deliver it to the attorney-in- fact under certain specific conditions. Since the lawyer may not know if and when the principal is incapacitated, the principal should let the attorney-in-fact know that the lawyer has retained the signed document and will deliver it as directed. The attorney-in-fact should review the Power of Attorney document carefully to determine what authority the principal granted. After being certain that the Power of Attorney gives the attorney-in-fact the authority to act, the Power of Attorney (or a copy) should be taken to the third party (the bank or other institution, or person with whom you need to deal). Some third parties may ask the attorney-in-fact to sign a document stating that the attorney-in-fact is acting properly. (The attorney-in-fact may wish to consult with a lawyer prior to signing such a document.) The third party should accept the Power of Attorney and allow the attorney-in-fact to act for the principal. An attorney-in-fact should always make it clear that the attorney-in-fact is signing documents on behalf of the principal. John Smith, as attorney-in-fact for Samantha Doe. In this example John Smith is the attorney-in-fact and Samantha Doe is the principal. If the Power of Attorney was lawfully executed and it has not been revoked, suspended or terminated, third parties may be forced to honor the document. Due to changes in the law, Durable Powers of Attorney executed on or after October 1, 1995, have more clout. An older document may be enforced as well. Under some circumstances, if the third party's refusal to honor the Durable Power of Attorney causes damage, the third party may be liable for those damages and even attorney's fees and court costs. Even mere delay may cause damage and this too may be actionable. It is reasonable, however, for the third party to have the time to consult with a lawyer about the Power of Attorney. Banks will often send the Power of Attorney to their legal department for approval. Delay for more than a short period may be unreasonable. Upon refusal or unreasonable delay, consult an attorney. Yes. The attorney-in-fact may hire accountants, lawyers, brokers or other professionals to help with the attorney-in-fact's duties, but may never delegate his or her responsibility as attorney-in-fact. The Power of Attorney was given by the principal and the attorney-in-fact does not have the right to transfer that power to anyone else. An executor, termed a "personal representative" in Florida, is the person who takes care of another's estate after that person dies. An attorney-in-fact may only take care of the principal's affairs while the principal is alive. A personal representative may be named in a person's Will and is appointed by the court to administer the estate. Follow this link for more information from RGLLAW on Florida Wills. Like a power of attorney, a trust may authorize an individual to act for the maker of the trust during the maker's lifetime. Like an attorney-in-fact, the trustee may manage the financial affairs of the maker of the trust. A trustee only has power over an asset that is owned by the trust. In contrast, an attorney-in-fact may have authority over all of the principal's assets (except trust assets). Another important distinction is that a trustee may continue acting for the maker of the trust after the maker of the trust dies. In contrast, the Power of Attorney expires upon the death of the principal. If no less restrictive appropriate alternative is available, then a guardian may be appointed by the court for a person who no longer can care for his or her person or property. A person who has a guardian appointed by the court may not be able to lawfully execute a Power of Attorney. If an attorney-in-fact discovers that a guardian has been appointed prior to the date the principal signed the Power of Attorney, the attorney-in-fact should advise his or her lawyer. If a guardianship court proceeding is begun after the Durable Power of Attorney was signed by the principal, the authority of the attorney-in-fact is automatically suspended until the petition is dismissed, withdrawn or otherwise acted upon. The law requires that an attorney-in-fact receive notice of the guardianship proceeding. If a guardian is appointed, the Power of Attorney is no longer effective unless the court allows certain powers to continue. The power to make health care decisions, however, is not suspended unless the court specifically suspends this power. If the attorney-in-fact learns that guardianship or incapacity proceedings have been initiated, he or she should consult with a lawyer. Yes. If the alleged incapacitated person executed a valid Durable Power of Attorney prior to his or her incapacity, it may not be necessary for the court to appoint a guardian since the attorney-in-fact already has the authority to act for the principal. As long as the attorney-in-fact has all necessary powers, it may not be necessary to file guardianship proceedings and, even when filed, guardianship may be averted by showing the court that a Durable Power of Attorney exists and that it is appropriate to allow the attorney-in-fact to act on the principal's behalf. A declaration of living will specifies a person's wishes as to the provision or termination of medical procedures when the person is diagnosed with a terminal condition, has an end-stage condition, or is in a persistent vegetative state. A living will and a health care surrogate designation are termed "health care advance directives" because they are made in advance of incapacity and need. If a person is unable to understand or unable to communicate with a doctor, a living will is a legally enforceable method of making sure the person's wishes are honored. Whether or not a person has a living will, a person's attorney-in-fact may make health care decisions if the Durable Power of Attorney specifically gives this right. A Health Care Surrogate Designation is a document in which the principal designates someone else to make health care decisions if the principal is unable to make those decisions. Unlike a Power of Attorney, a health care surrogate decision-maker has no authority to act until such time as the attending physician has determined the principal lacks the capacity to make informed health care decisions. (In instances where the attending physician has a question as to whether the principal lacks capacity, a second physician must agree with the attending physician's conclusion that the principal lacks the capacity to make medical decisions before a surrogate decision-maker's authority is commenced.) Many medical providers prefer a designation of health care surrogate for health care decisions because the document is limited to health care. Yes, an attorney-in-fact is under no obligation to assume the powers conferred in a POA and once assumed, may at any time cancel acceptance of that obligation. The easiest way to terminate a POA is for the original to be destroyed. An attorney-in-fact who has acted on behalf of the principal under the powers conferred in a POA may want to record an affidavit indicating that they are no longer acting as an attorney-in-fact for the principal. If a court proceeding to determine the principal's incapacity has been filed or if someone is seeking to appoint a guardian for the principal, the Durable Power of Attorney is automatically suspended and an attorney-in-fact must not continue to act. The power to make health care decisions, however, is not suspended unless the court specifically suspends this power.